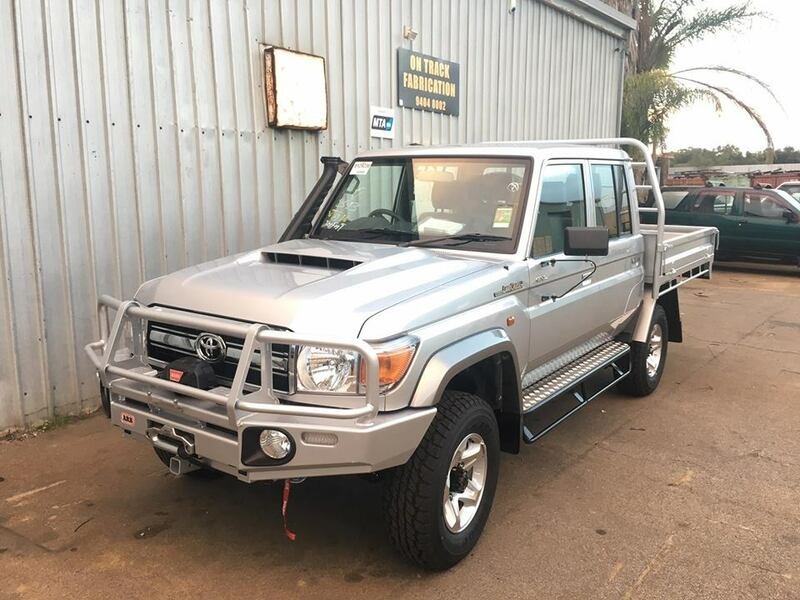 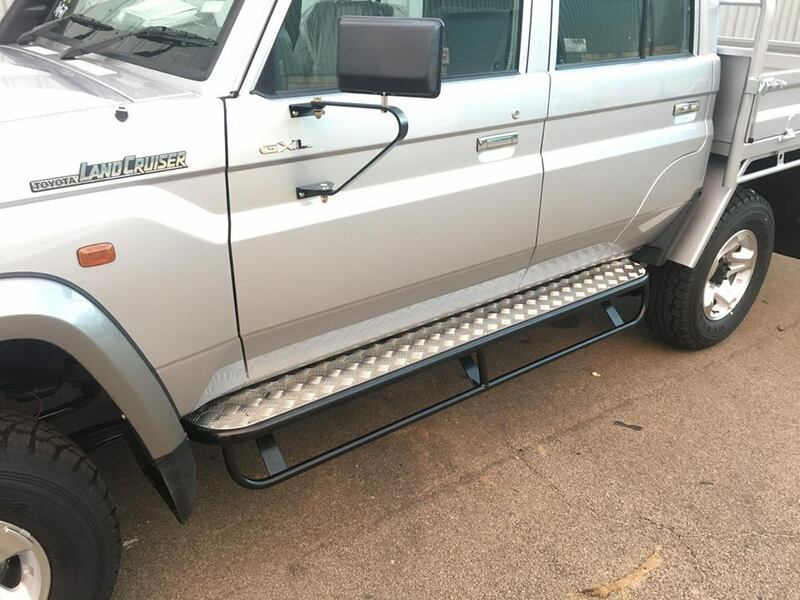 We often get vehicles delivered straight to us from the dealer for fitting out with custom barwork, body protection and accessories before the new owner takes delivery, as there’s only so much you can get off the shelf. 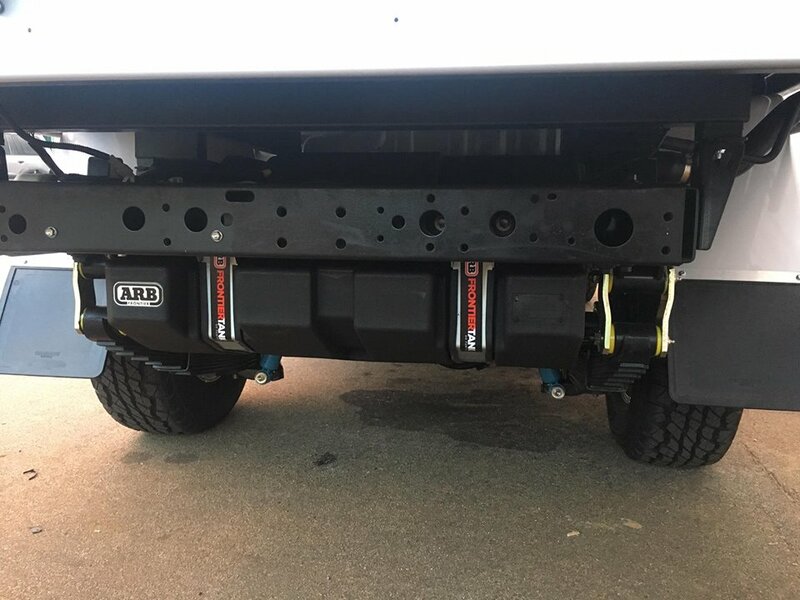 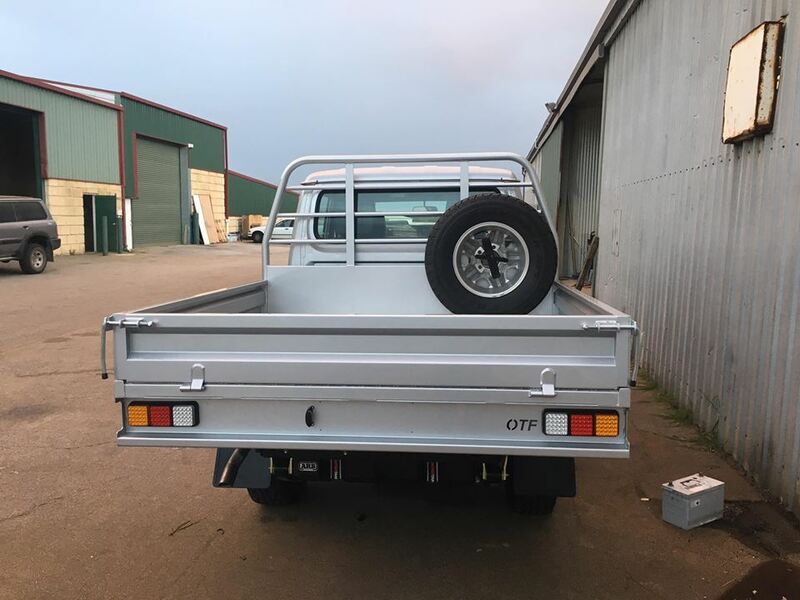 This 79 Series ute came into us for a custom built, colour coded tray plus some checker plate covered rock sliders that also double as side steps, and we also fitted and colour coded an ARB Bull Bar, a Warn Xeon Winch and Dual Battery System. 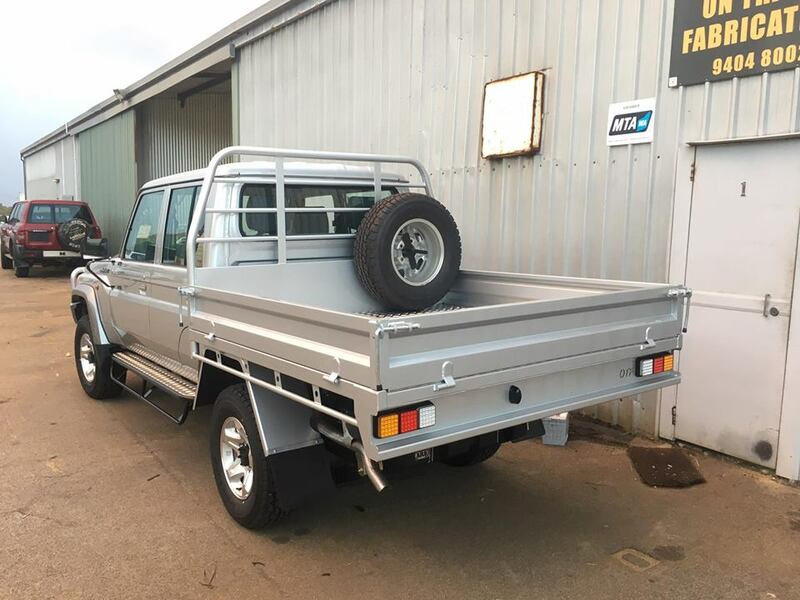 This 79 is now ready to head out bush.